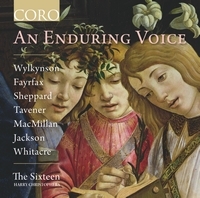 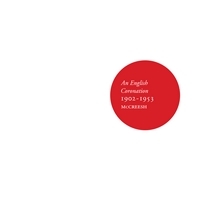 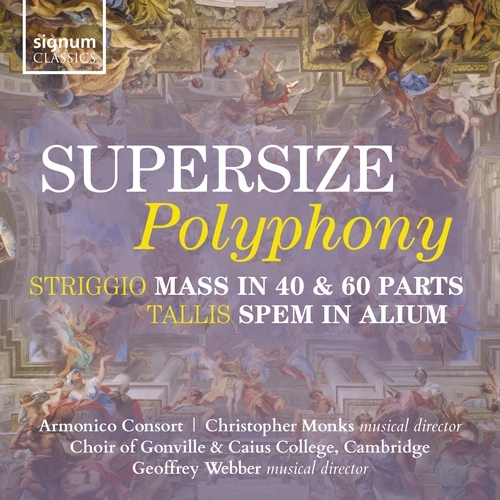 Supersize Polyphony is a celebration of large-scale choral works from the 16th century, performed here by the Armonico Consort and the Choir of Gonville and Caius College, Cambridge, under their musical directors Christopher Monks and Geoffrey Webber. 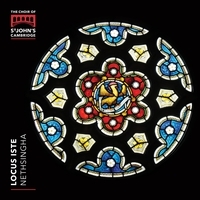 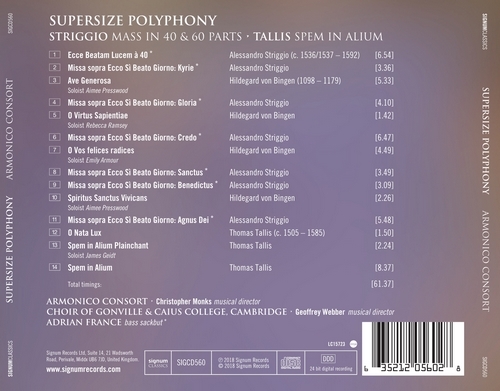 The unique programme features epic motets, such as Thomas Tallis’ Spem in Alium and Alessandro Striggio’s Ecce Beatam Lucem, alongside his rarely performed 60 part Missa sopra Ecco Si Beato Giorno. 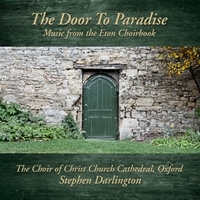 Interspersed with the serene beauty of ethereal chants by Hildegard of Bingen, this new recording presents works of magnitude and polyphonic drama in stellar performances by two of the UK’s leading choral ensembles.